I was genuinely surprised and bothered when I failed to catch my thought process after seeing the word ‘auteur.’ I correlated that word with its recognized and culturally constructed meaning, and believed that it defined a male director. I thought of Hitchcock, Scorsese, Kazan, Tarantino, etc. Throughout the film classes I’ve taken as a student, we’ve rarely ever delved into a female auteur; and as a feminist and a person intensively studying film and media, I thought it was appalling that I have never studied (in-depth) a female director/screenwriter or ‘auteur.’ Not only did I find it to be unfair that we were being deprived of knowing the contributions female auteurs have made evident in their body of work, but it bothered me that the perceived meaning of the word auteur is just another way of glorifying the work of male directors. Proof of this is located the first sentence of this paragraph. 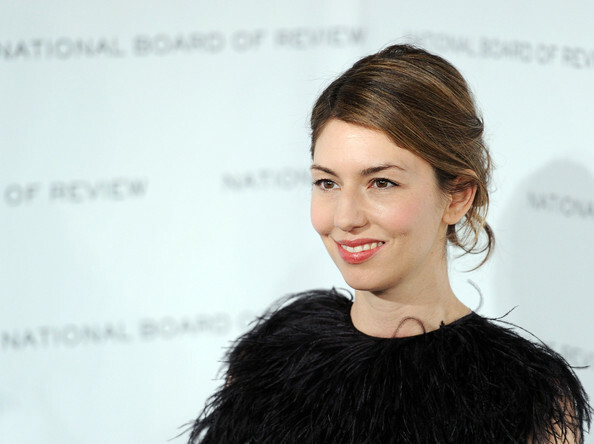 One female auteur filmmaker that I admire immensely is Sofia Coppola. In every respect, Sofia Coppola has established herself as a director with a consistent visual style and formula, both in the aesthetics and in the narratives of her filmography. For example, I notice that most of her films are very heavily focused on the image rather than the dialogue. She creates stylistically coherent films. “…..Feminist theory is extensive and reflective, receptive of all those nuances of framing, inflection, and particularly authorial viewpoint which intensively concern critics of women’s films…” (92). Her films are associated with a particular genre that most consider to be ‘arthouse’ or indie films. You know, the kinds that you could send into Sundance, Tribeca, or Cannes. I’ve noticed that they each have a particular style contained in both the mise-en-scène, as well as the themes and issues her narratives bring to life on-screen. Three films that in my opinion serve as a shining example of her being an auteur, are The Virgin Suicides (1999), Lost in Translation (2003) and Marie Antoinette (2006). All three films collectively have been created within her personalized vision and contain specific traits. How they are stylistically implemented in those three works are all consistent and any viewer would be able to identify that. Out of all the three, my favorite is Lost in Translation, which is in fact her biggest hit to date, grossing $120 million worldwide and cost only $4 million to make. Critics have similarly picked up on Coppola’s “recognizable visual approach” and the “self-conscious beauty of her films” (Rogers). What drives Coppola’s work, beyond ambition and the vagaries of moody youth? Look closely at her movies and a surprising answer emerges: From The Virgin Suicides to Somewhere, Coppola’s films are striking for their steadfast, targeted attack on the culture of Hollywood. And although this common thread at first looks incidental to her project, it runs to the heart of her divisive reputation. Coppola’s insider criticism of Hollywood, her disdain for the industry that her own career relies on, leads her into a strange territory between hypocrisy and candor, privileged lament and fearless protest. This indeterminacy gives her work the back-and-forth flicker—and intrigue—of a lure in water. But it also leads her to a site of unusual cultural tension. As both a beneficiary of creative privilege and a critic of it, Coppola has become a lightning rod for authenticity questions more broadly haunting American culture since the last boom era. Her problematic attack on Hollywood is the reason why these quiet and parochially minded movies stick so sharply in the nervous system of their time. As the daughter of famed auteur Francis Ford Coppola (director of films such as The Godfather Part I and II, Apocalypse Now, The Conversation), Coppola has dealt with being a female director Hollywood, as well as meeting the standards of people who associate her with her father, famed auteur who directed legendary films such as The Godfather Part I and II, Apocalypse Now, and The Conversation. In an interview I watched in a film class I had taken in a previous semester, I recall her father saying that she has had immense amount of pressure on her shoulders. Sofia herself has said that trying to establish her place as someone with a creative vision and situating her own identity completely separate from her father’s is not easy and does not continue to remain easy. Her films often involve women who come of age throughout the course of the narrative. I’ve noticed that despite a plot, her narrative arcs do not contain an ending or a ‘conclusion.’ Continuity in terms of strong, well-developed story arcs aren’t what she aims to achieve, and her films can often transition in many different directions. This is certainly not a bad thing! In my opinion, life throws a number of curveballs (as awfully cliché as that sounds), and nobody ever has it fully figured out. There are events over the course of one’s life that are never planned out and, stylistically, I think her films certainly reflect off of that idea. Because the protagonists in her films are unformed characters who are facing a moment of transition or life-crisis. Her characters feel lost (i.e. Lost In Translation), alienated, or overwhelmed by the situation, in a world which they feel like they have no control over. In the three aforementioned films, the female protagonists develop in a coming-of-age theme, where they become self-actualized and realize that they have the agency to change some aspect of their lives they are not satisfied with, despite being in marginalized situations and facing restrictions in their personal lives. Her protagonists are almost all teenagers or young adults. 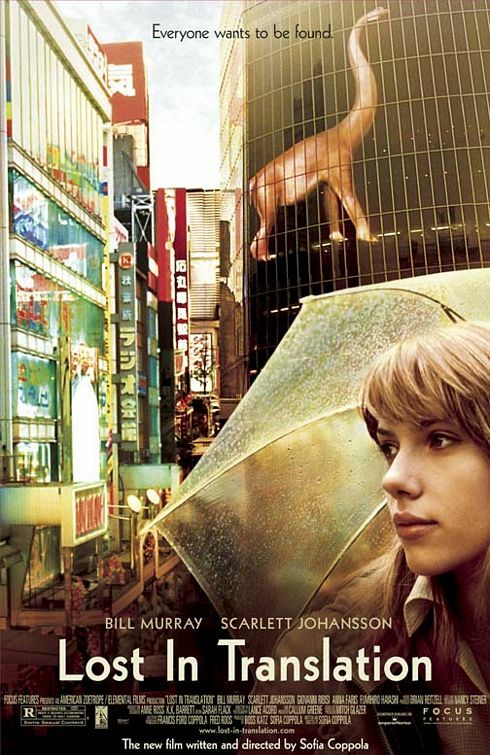 Her scenes often contend with the use of a handheld camera and ambient sounds that allow the viewer to get into the subject’s personal space; for example, there is a scene in Lost In Translation where Scarlett Johansson is sitting in the window ledge in looking out over Tokyo. As a viewer, in that single moment, somehow the scene resonated with me more than any really meaningful paragraph of dialogue could ever convey. Being able to connect with a character in a visual prose speaks volumes to me. With the ever-increasing number of female auteurs in Hollywood these past years as well as their works acclaimed and recognized (but not abundantly) in nominations, awards, critic’s reviews, etc, it’s time to change the word auteur being synonymous with only the male director. This is going to be a steady change in Hollywood, hopefully. She is indeed a shining example of an auteur. Redding, Judith M., and Victoria A. Brownworth. “Film Fatales.” 24 Nov. 1997. Web.